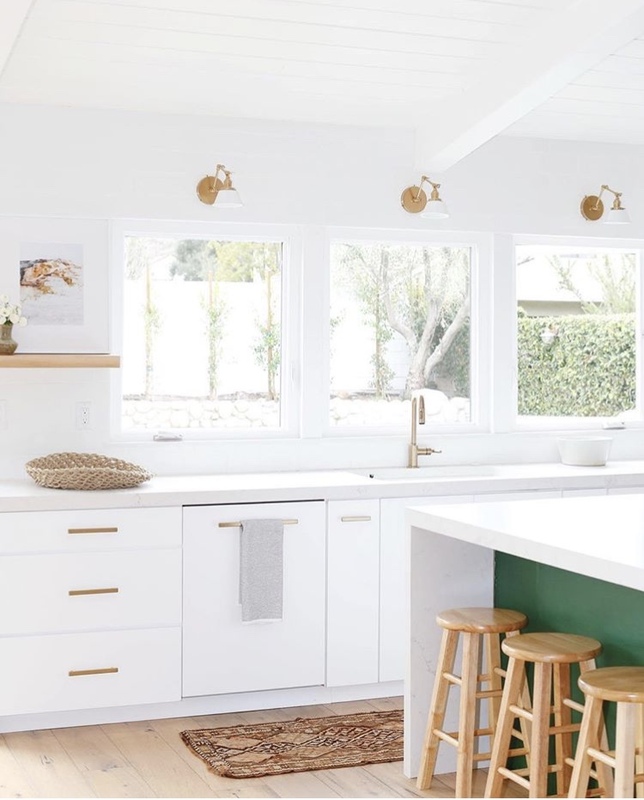 It’s always fun to keep up with what’s new in home design… [cue the Pinterest board]. However, when building a new home or updating your current home, you need to remember to take trends with a grain of salt. 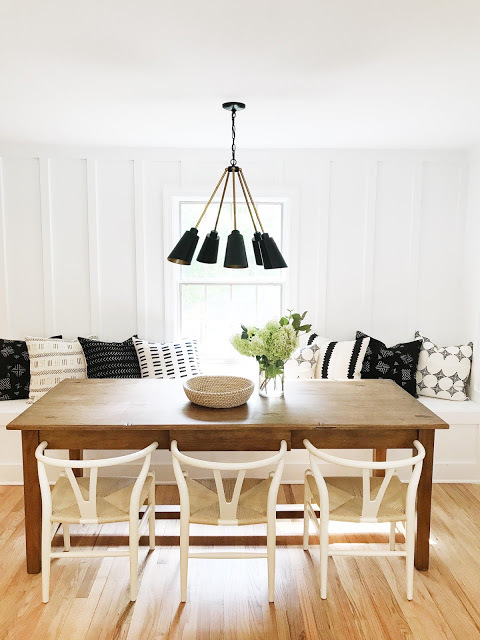 If we all incorporated all new trends into our homes, we’d be sick of all of it by the time the next trend list came out. Just pick what speaks to you personally. 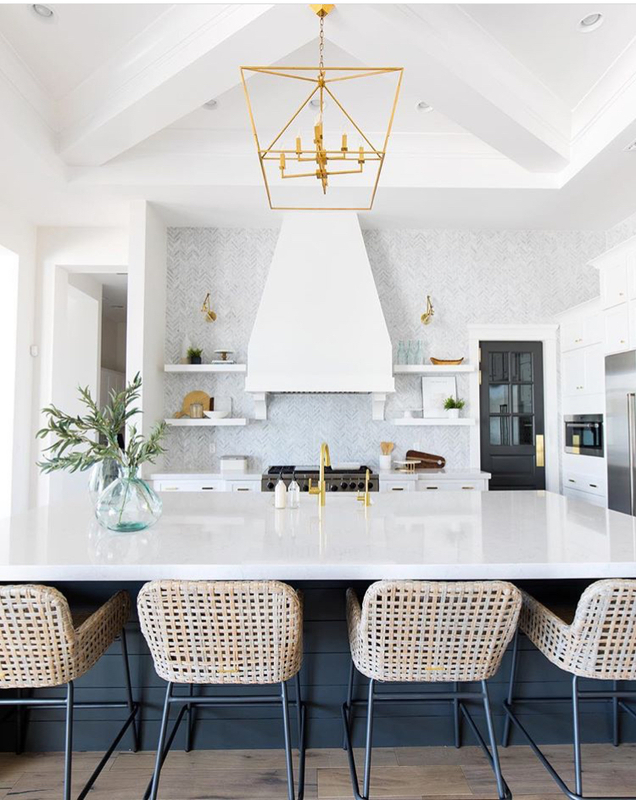 Here are some new trends we’re seeing in kitchens, specifically. Dark green?! 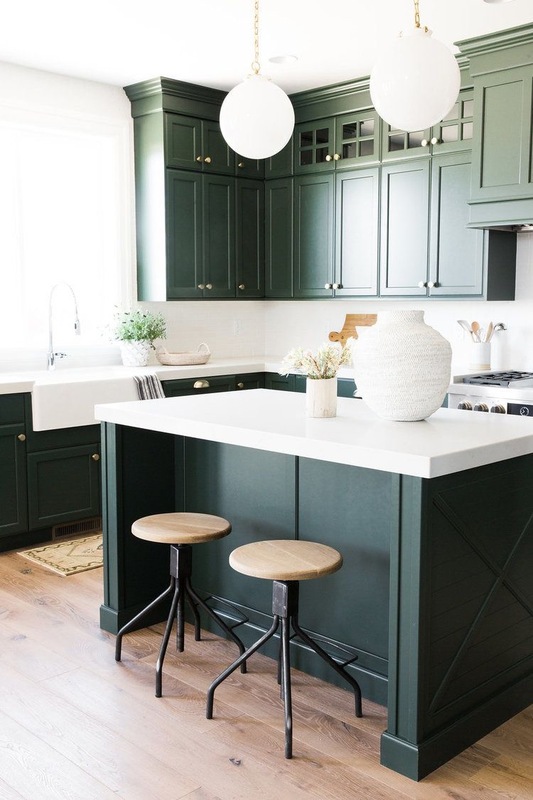 If someone told us green cabinets were going to be on trend in the future, we’d tell them they’ve officially lost their mind. But this looks amazing and we’re seeing more and more designers using it in kitchens over the last year or so. We have a feeling this look will be around to stay for awhile longer. Always a modern classic. 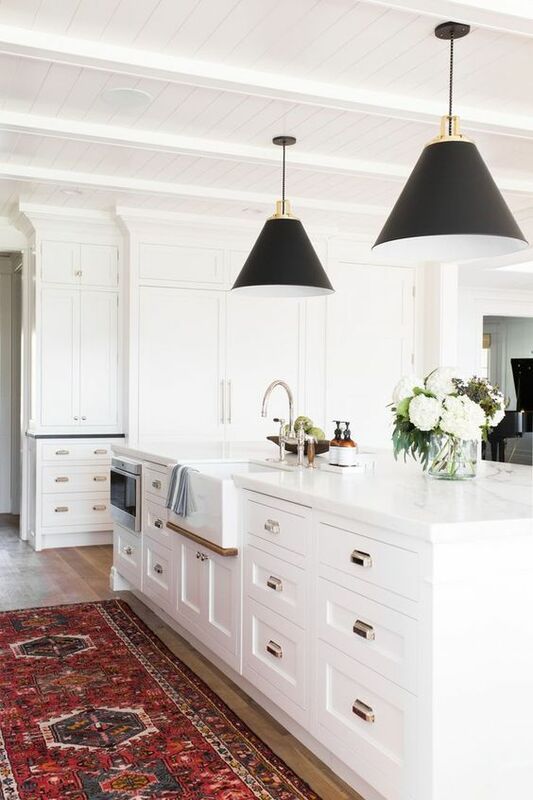 If you’re ever afraid of the clean lines looking cold, you can add in warmth with some natural colored elements and brass fixtures as seen below. This trend has been around for some time, but we’re seeing it in a new way. 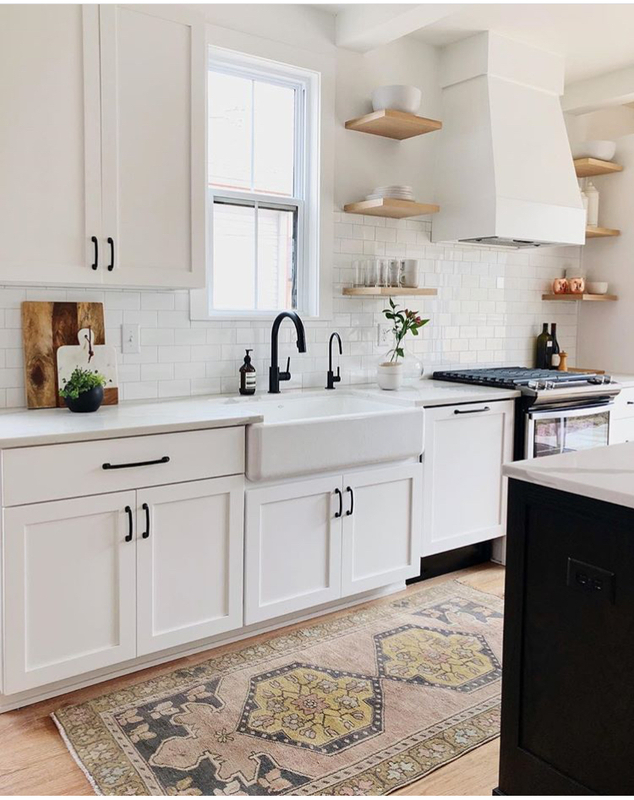 The fresh take on open shelving is a lot less upper cabinets and doing the open shelving around hood vents, windows, in corners, etc. By just mixing up the location of the open shelving, you can give the kitchen a much lighter and open feel. Quartz has been around for years but is just starting to catch on as an alternative to granite or marble. The major benefit of quartz is that it is a manmade, nonporous material, and, therefore, zero maintenance. It is not prone to cracking and it comes in a stunning array of colors, textures and patterns. 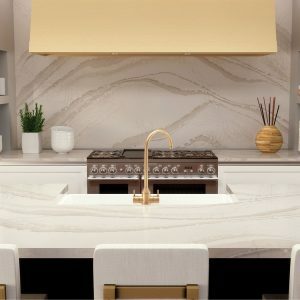 This photo is from the Cambria Quartz line and we think it’s a stunning alternative to high-maintenance marble. The 80s called and they want their seating back! But seriously, we love this. What is not to love about built-ins? It gives a home such a custom look and it can be a huge space saver as well. This may be a tad traditional for some folks, but we’re seeing it mostly in modern spaces. It can instantly give your kitchen warmth and give it more of an eclectic feel. Etsy has some great vintage rug finds if you’re in the market! WIth this, really anything goes. 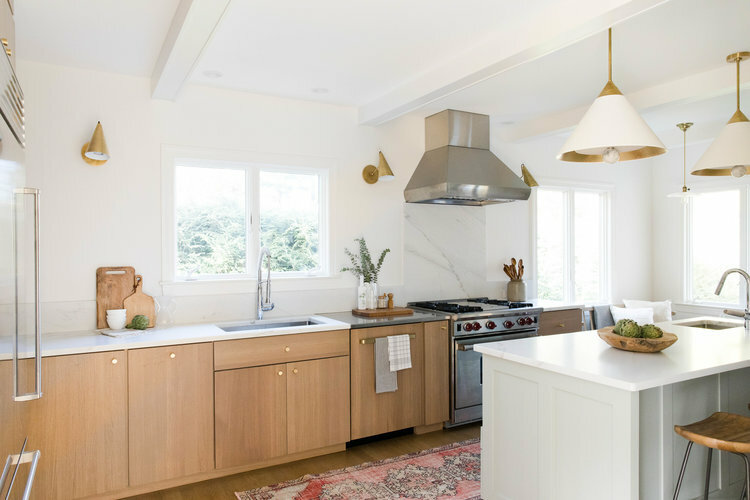 We’re seeing it mostly in kitchen hardware, counters, light fixtures and faucets. The high contrast of the light against the dark can give a room such a high-end look. We are fans! Bonus: this one incorporates multiple trends in one with the dark hardware, open shelving and a vintage runner.